Ree met Louise and passionately fell in love with her. 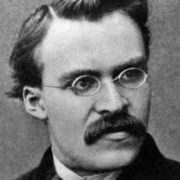 He wrote Nietzsche about the girl and suggested to live all together. However, Salome unexpectedly stated that she allowed only spiritual intimacy in communication between man and woman. She was looking for “perfect friendship”. Ree had no choice but to accept the condition of the “strange Russian” and remain her favorite friend for the rest of his life. Later, Lou explained her behavior by saying that “it seemed to her that the whole world was populated by brothers”. Anyway, Paul asked Nietzsche to come to Rome in order to see “the Russian miracle” with his own eyes. 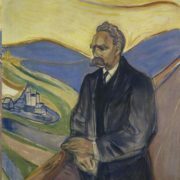 “Soon I’m going to conquer her,” Nietzsche wrote arrogantly in response, “I need her if you have in mind my plans for the next ten years.” The self-assured philosopher arrived in Rome in a few months. 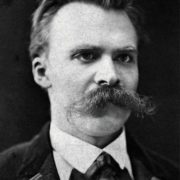 Contemporaries claimed that Nietzsche was an extremely self-contained person: he spoke quietly, laughed extremely seldom. A week later, the philosopher came to Lou with a marriage proposal. But the girl rejected him, like Ree, nevertheless she invited friends-philosophers to live with her under one roof. Thus, she wanted to prove that there was not only friendship between a man and a woman, but also a “perfect, ideal friendship” between people. 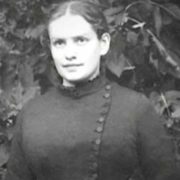 “Until the end of my life I gave up love,” the girl explained to the men, “and above all I value complete freedom.” Participants of the “Holy Trinity” began to choose a place for living. 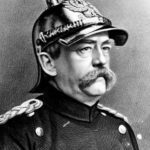 At first they wanted to settle in Vienna, then in Berlin. Finally, Paris was chosen. At first, their life seemed interesting and fruitful. They read, wrote and worked a lot. But half a year later Lou shared with Ree: “He (Nietzsche) so vigorously reacts to the differences between us … That’s why he looks so upset. If two people are as different as you and I, they are happy with finding the point of contact. But when they are the same, like Nietzsche and I, they suffer from their differences.” Nietzsche was jealous. He was extremely unbalanced and suspicious. Perhaps his character was determined by the great suffering from the headaches. Also he lost his sight. Lou admired his talent and loved him as a brother. However, the philosopher crashed everything around and there were stormy scenes of jealousy. He did not want to share Louise with anyone, even with his good friend Paul. Daily quarrels destroyed their happy, but short idyll. On the contrary, Ree’s love was quiet and devoted. 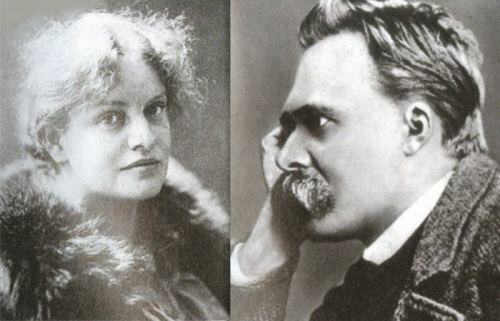 Nietzsche thought that Ree and Salome were lovers. He often waited for them, overheard conversations, suspected and was jealous more and more. 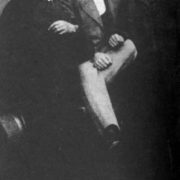 When Friedrich left Lou, he wrote: “I leave you because of your terrible character.” It was a very long and painful period for Nietzsche. He repeatedly said that she was “the perfect evil” in his life, and about Paul Ree he said: “It is extremely boring to read his works. 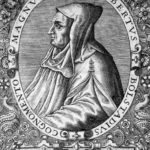 He is witty, but poor in thoughts.” Perhaps, the philosopher drowned out his sufferings and severe pain from undivided love. 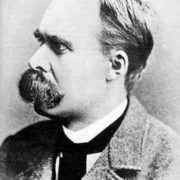 Six years later Friedrich Nietzsche was sent to a psychiatric hospital. The philosopher’s mental state worsened every day: he imagined himself as Frederick William IV, then he said that he was married to Cosima Wagner, then he jumped around the room and made inarticulate sounds, he always slept on the floor near his bed. 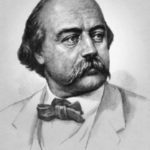 On August 25, 1900, the great thinker died. 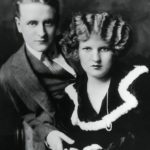 After a break with Nietzsche, Paul and Lou lived together for five years, but she left him. Salome decided to marry professor Carl Andreas. She became his wife with one condition: an exclusively platonic relationship. Only after many years Salome changed her views. Paul went to another city and a few years later he fell into an abyss. They said that it was suicide. 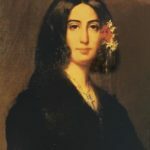 Thus ended the “triple alliance” of philosophers and their beautiful lady – a game of “perfect friendship”, which could not refute the age-old truth that there is no friendship between a man and a woman. 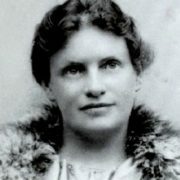 Lou Salome died at the age of 76. During the last years of her life she was successfully engaged in psychoanalysis, was friends with Freud, wrote memories. 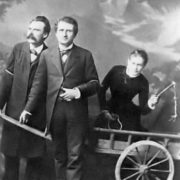 Many people accused this unusual and original woman in selfishness and believed she was guilty in the death of great Nietzsche. Others, who knew her closer, said that she was a very kind person. And everyone agreed that the unrivaled Lou was always the embodiment of the philosophy of genius Nietzsche. 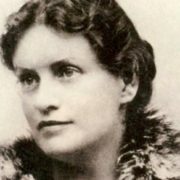 Moreover, many biographers argue that Louise became the prototype of Nietzsche’s Zarathustra.